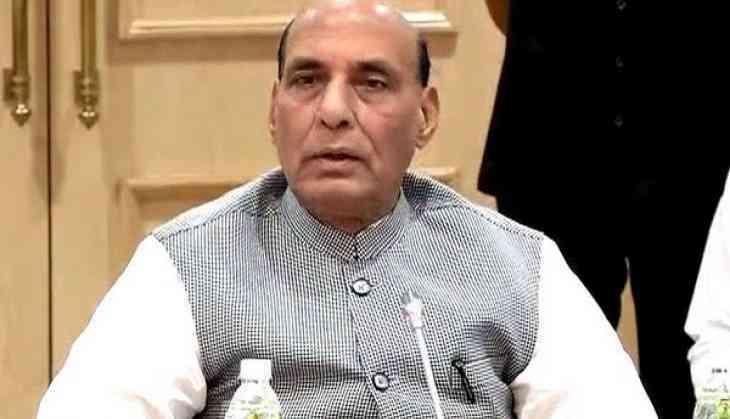 Union Minister of Home Affairs Rajnath Singh on Monday inaugurated two Comprehensive Integrated Border Management System (CIBMS) pilot projects along the India-Pakistan border in Jammu region. Addressing a press conference here, Singh said, "Today is a historic day not only for the Home Ministry but for the entire country. The country's borders are guarded by the Border Security Force (BSF) and the Army, but to further enhance the security, we have launched the CIMBS system today. This system will make our borders safer." "Today on the birthday of our Prime Minister, I dedicate the CIBMS to all the brave soldiers and jawans of our country," he added. The pilot project includes two 5.5 kilometre-stretches in Jammu, the performance of which will be monitored, and based on the feedback improvements will be made for the rest of the system. The government has identified vulnerable areas along around 2,026 kilometres long stretches of the borders with Pakistan and Bangladesh, where the CIBMS system will be installed. A 60-kilometre long pilot project along the Bhramaputra river in Assam's Dhubri district would also be launched in November, the Home Minister confirmed. "Earlier our jawans had to be physically present at the borders, and due to firing from Pakistan, there used to be a lot of casualties on our side, although the BSF jawans gave befitting reply every time. Physical patrolling will also be less after the installation of this system. The CIBMS will also relieve the BSF jawans from enduring difficult weather at the borders," Singh said. Singh came across the technology first time during his visit to Israel. He said, "I saw the technology there first and discussed its implementation upon my return following which the work began."